A few weeks ago Crawford Paul posted an interesting and important article on Assembly Distinctives (hereafter ADS), which was followed by a supporting article by Ross Rodgers. While many of the points that Crawford and Ross make are important, some points worry me and could create more problems than they solve. Part of the problem is simply due to the shortness of the articles and cannot be blamed on the authors themselves. I also want to add that I have had some time to correspond with Crawford and we do agree on many points. I still want to express some of my thoughts and concerns while there is interest in this topic. 1 What are assembly distinctives? One major problem when talking about ADS is there is no consensus over what they are. Perhaps the only (recently) published list is by H. G. Mackay in the early 1980s. ADS act as a silent creed, but no one really knows what exactly they are. While both articles were written without listing specific distinctives, it would have been helpful to give a formal idea of what ADS are. Crawford and Ross agree that “It would be far better for each local church to search the scriptures themselves and follow those convictions than adhere simply to an established list of the ‘brethren’.” While I do agree with this statement, it does need some qualification. How should we study the Bible? How do we study the Bible individually and as a church? What should we use to aid in reading the Bible, if any? Crawford and Ross did not set out to write articles on interpreting the Bible, but presenting a solution like this makes the answer seem easier than it is. Both Crawford and Ross make a big deal out of how ADS fosters an “us vs. them” attitude. While I do not disagree this can happen, it does not always have to necessarily follow. An us versus them attitude is a result of poor application of ADS, not of ADS themselves. There can be doctrinal and denominational boundaries, but unity can still be experienced. One example comes from a Lutheran and a Catholic. George Lindbeck was a Lutheran observer at Vatican II, and during a presentation he heard a Catholic Bishop state that at times Protestants had a better understanding of Justification and that they should be able to learn from the Protestants. Lindbeck was astonished when he heard this, that he was moved to tears! They were able to have some unity despite their continued differences. While Crawford made some statements about the authority of the Bible, Ross makes it one of his major points. Now I will not be arguing against the authority of the Bible! But to uphold the authority of the Bible does not mean we have to rid ourselves of all tradition. In fact, Paul encourages the churches to follow his tradition he gave them (1 Corinthians 11:2; 2 Thessalonians 2:15; 2 Thessalonians 3:6). We all agree that we should not rush to get rid of all tradition. Tradition has always been tentative in the assemblies, with its strict biblicism, lack of any formal creed or doctrinal statement, and the term’s implied Roman Catholic undertones. But tradition does have an important place in church life. It helps guide us as we begin to first read our Bibles and gives us a framework to see the whole Biblical story. When people think tradition, they usually think of practices, like Sunday night meetings or head coverings. But there is also doctrinal tradition which should carry heavier weight. These would include the creeds of the early church councils that set forth the orthodox understanding of the Trinity and the Person of Christ. Let us not forget that there is a long line of believers that came before us, who all had the Spirit’s teaching as they read the Scripture. It would be foolish to ignore their comments, either old or new. If there is good reason, traditions should be questioned and challenged. But, in the past, this has led to some major problems. Some brethren have been so set on rejecting tradition and “just believing the Bible” that they fell into real heresy and denied the perfect and full humanity of Christ. Even C. H. M. was accused of this at one point. I am not saying that if we do as Paul and Rodgers suggest, people would be committing heresy left and right. But I am concerned since there is real historical precedent in the assemblies for this sort of doctrinal error! Ross states that each church should search the Scriptures for themselves and “is accountable for sure… but to Christ alone.” Despite this statement’s good intentions, it can create real problems. Local churches must able to have some influence or authority over others when appropriate. While the (open) assemblies hold to the independence of the local church, a scheme like this could veer into hyper-independence to the detriment of the “Unity of the Body.” How can the church be one body, yet have no influence over its other parts? While Crawford advocates for dropping the term ADS, Ross seems to go a little farther in wanting to drop all man-made categories. While I emphatically agree with Ross that “our basis for fellowship within the body of Christ, is a person”, dropping man-made categories does not really solve the problem. Man-made categories are inevitable and often reveal a heart issue. Next time you find yourself in a discussion with someone and they state, “I am a (insert term here)”, simply ask them what they exactly mean by that and where they think it is found in the Bible. You may be surprised how much you agree. Both Crawford and Ross make statements about how the Bible gets the final word. 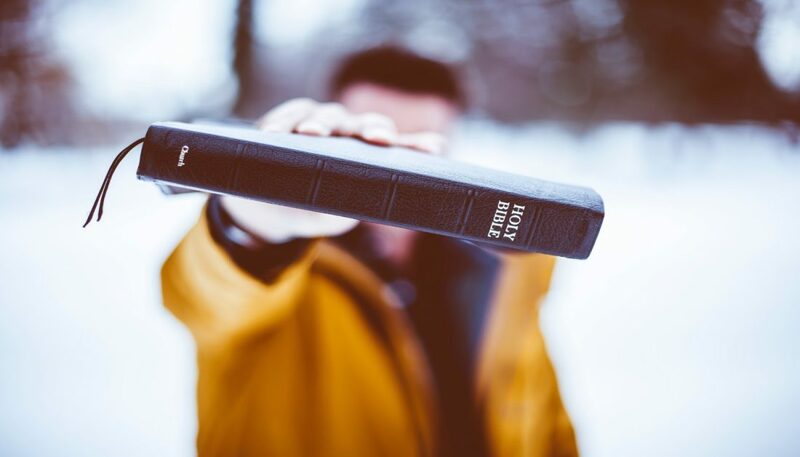 “We may have to have respectful discussions seeking understanding first, if there are disagreements, and then let God’s Word have the final say.” It is necessary to affirm this. But it too raises a problem. When people are discussing the Bible and disagree, the question is over interpretation. This is the exact problem that the early church encountered when discussing the Trinity. Everyone would agree that “Jesus comes from God” because the language was biblical. But not everyone agreed on what the language meant. Did it mean that Jesus is sent from God or that Jesus was created by God? Because of the intense debate, the church had to basically create a Trinitarian vocabulary that was not in the Bible to speak accurately and truthfully about what the Bible said about the Father, Son and Spirit. Comments like “let God’s Word have the final say” seem to leave little room for the move to interpretation and theology. We must be able to accept that we have to move from Biblical language to non-biblical language, and from text to theology. Thankfully, these articles will not be the end of the discussion. We must continue to dialogue about what ADS are and what to do about them. But I stress that while it is good to look to the future, we must also keep an eye on the past. Sir, thank-you for taking the time to write this. In one of the points you made, the one about reading the Bible, you said that Mr. Crawford and Mr. Ross put emphasis on reading the Bible, but didn’t explain how we should. That was not their purpose in writing those articles. Their purpose was to talk about Assembly distinctives. In your point about tradition, you cited Paul’s writings on traditions. The traditions you mentioned were well spoken. But the traditions Mr. Crawford and Mr. Ross were speaking of were not those, but were traditions such as: “you must wear a suit and tie to the Breaking of Bread”; “you cannot wear a beard”; “you cannot drink alcohol”; “preachers shouldn’t prepare their sermons beforehand because then won’t be ‘Spirit led’ “; etc. Our doctrinal traditions are very good, and we should hold to them. But those were not the traditions that they were referring to. On your point about man-made categories, you said that’d we’d be surprised that we agreed with someone’s [insert doctrinal school of thought] when they explained their association with Scripture. Paul said in 1 Corinthians 3 to avoid divisions in the church, like “I follow Paul”, or “I follow Apollos”; or for modern times: “I follow Calvin”, or “I follow Armenius”, or “I’m a Baptist”, “I’m Reformed”, or “I’m non-denominational”. These are divisions we don’t need. We are all Christians. It doesn’t matter if we have Scriptural basis for our “-ism”, or not, we all belong to Christ, and we shouldn’t hide behind man-made names. On your last point, you mentioned that it is possible to have interpretation issues. You cited the discussions in the early church. Not much interpretation was necessary for that. Jesus said in John 10:30 “I and my Father are One.” If you look hard enough, you’ll find that the Bible speaks for itself on the vast majority of topics within it. God’s Word does have the final say. Those were just points that I noticed. I agree that Paul and Rodgers were not trying to write articles on bible interpretation and I do not fault them for that, which I stated in the article. Also, I am not too sure Paul and Rodgers meant “suit and tie” when they spoke of tradition. Now I would have to ask them, but when I think of ADS I think about things like the Breaking of Bread, Elders, a rapture, etc and tend to be more doctrinal rather than small things like this. Although, if that was what Paul and Rodgers were talking about they should have told me! You are not necessarily wrong about terms and divisions. The editors and I went a little back and forth over this. Coming from a more academic setting I find these terms very useful and they make discussion a lot quicker and smoother. But they are not needed as much in a church setting. And I did illustrate in the article that people can still have unity even if they have these ‘isms’ like the Catholic Bishop and George Lindbeck. Thank-you for replying to my comment. I do believe that man-made terms tend more to cause division than unity, as a whole. I like your point about the Catholic bishop and George Lindbeck. I recently watched a movie entitled “Tortured for Christ”. It was based on the book, and was about Romanian believers when Russia took over the country. It didn’t matter whether they were Protestant, or Catholic, they united, and threw aside their differences, because of their persecution by Communists. I wish the church today followed that example. The “breaking of bread”, elders and the doctrine of the rapture are not exclusive to the Plymouth Brethren and are therefore not “assembly distinctives” as such. The interpretation and application of those things may be. As an almost 50 year veteran of assembly fellowship I would like to add a comment on why I have remained “Brethren”. My comments are personal observation and I apologize for the lack of organization and scholarship. My personal observation is that the main and important ADS is the Breaking of Bread weekly with open participation by the men present as led by the Holy Spirit. When the BB has become structured or limited in terms of participation and/or time the main ADS is lost. The Bible should be our authority and basis for what we do but the brethren older than also held to the principle that each local body of believers should be autonomous and elder ruled. It amazes me how upset some brethren become when the assembly down the road does something not in keeping with so called ADS. A wise preacher once remarked that it was amazing that all Christians have the same indwelling of the Holy Spirit but reached vastly different conclusions. As Brethren we tend to be walking in faith from the shoulders up meaning we are led by our minds but not necessarily our hearts. I wish we would focus less on what we believe and more on what we need to do. The Brethren tradition is blessed with a history of those who actively live out and share their faith despite our history of divisions over doctrine. Major doctrines about the person and work of Christ must be agreed upon for us to be Christian. Our love as believers should allow us to disagree on practices and still embrace the body of Christ.